Expect stunning visuals with high-quality 3D models, top-notch animations and an immersive gameplay. 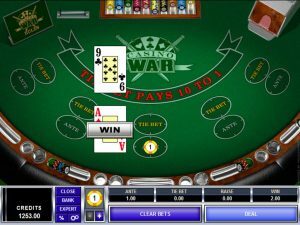 Microgaming has added another game to its offering. 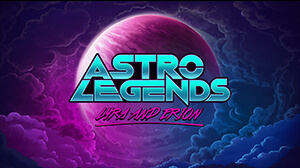 Titled Astro Legends: Lyra and Erion, the new release is developed by Foxium and it will be exclusively available to Microgaming and its partners. Get ready for an epic intergalactic adventure, where Lyra and Erion will take you. Expect stunning visuals with high-quality 3D models, top-notch animations and an immersive gameplay taking place across a series of stunning scenery. The game’s soundtrack matches the sci-fi theme of this slot and helps create a captivating atmosphere. Players can look forward to a breath-taking story with innovative and exciting features, coupled with a distinctive gameplay. The first thing you’ll notice is the game’s gem-shaped reel, which consists of 22 crystal cells containing the symbols. 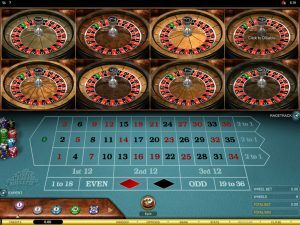 When it comes to features on offer, punters can benefit from multiplier Wilds, high-stakes respins, and even a pick me bonus round which can prove to be very lucrative, with a bit of luck. The most appealing part of the game is the chance to grab a payout worth up to 15,000x the triggering bet, thanks to the Sonic Respin feature – activated at random when landing a cluster win with same symbols. 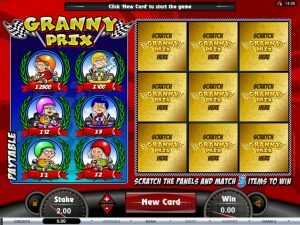 This feature includes Wild Multipliers, also appearing randomly, increasing your winnings from 2x to 5x. Lyra will turn into her spirit form during the Lyra Spirit Pick ‘Em bonus game, where players will be tasked with reaching freedom across several levels, collecting gems along the way and avoiding Erion’s hits. 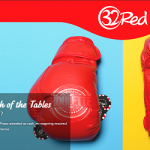 This bonus round gives punters the chance to grab fantastic prizes since a successful completion of the round applies a 20x multiplier to the bet. You get the point! Commenting on the launch of the game, Ake Andre, CEO of Foxium, said his company was delighted to release Astro Legends: Lyra and Erion exclusive to Microgaming which featured fantastic graphics with a story-driven and exhilarating gameplay. He pointed out that Astro Legends: Lyra and Erion’s richly textured design, graphics and atmospheric music would engage, excite and thrill both experienced players and novices, and added Foxium was looking forward to further games going live with Microgaming in the coming months. David Reynolds, Games Publisher at Microgaming said that Astro Legends had a fantastic Real-Time 3D rendering for animated characters combined with a gripping soundtrack, which together helped to create a highly entertaining and immersive experience. Astro Legends can be played at any of Microgaming-powered online casinos.